New theatre built 1954-1956 by Paul Meyer (Scherrer & Meyer Architekten). Opened 13 Oct 1956 as "Stadttheater". Used for guest performances of touring companies. 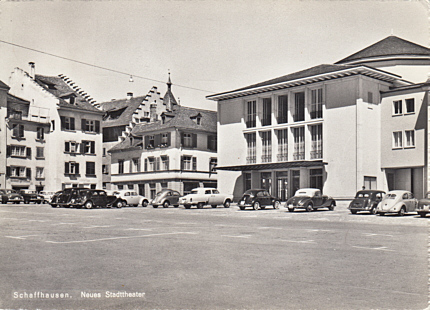 Front Text: "Schaffhausen, Neues Stadtteater"